The NFL, in response to mounting criticism of their lax policy with regards to traumatic head injuries, is producing a poster that bluntly alerts its players to the long-term effects of concussions, using words like “depression” and “early onset of dementia” that those close to the issue described as both staggering and overdue. The poster, soon to be hung in locker rooms leaguewide, becomes by far the N.F.L.’s most definitive statement on the cognitive risks of football, which it had discredited for most of the past several years as academic studies and reports of deceased players’ brain damage mounted. Is it a sign that youth sports are more agressive? Or that parents are more aware of their children's injuries? Emergency room visits for school-age athletes with concussions has skyrocketed in recent years, suggesting the intensity of kids' sports has increased along with awareness of head injuries. The findings in a study of national data don't necessarily mean that concussions are on the rise. However, many children aren't taken for medical treatment, so the numbers are likely only a snapshot of a much bigger problem, doctors say. A TBI is caused by a bump, blow or jolt to the head or a penetrating head injury that disrupts the normal function of the brain. Not all blows or jolts to the head result in a TBI. The severity of a TBI may range from “mild,” i.e., a brief change in mental status or consciousness to “severe,” i.e., an extended period of unconsciousness or amnesia after the injury. 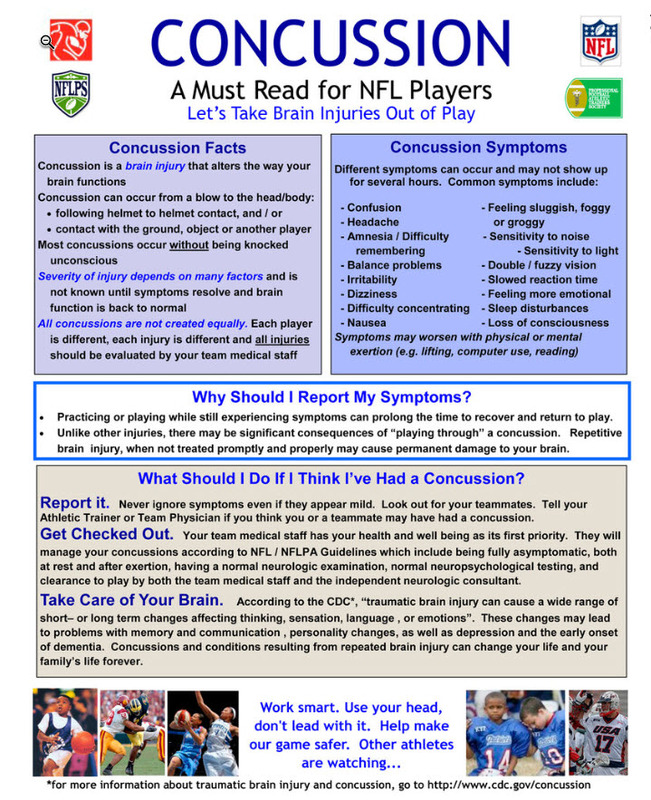 The majority of TBIs that occur each year are concussions or other forms of mild TBI. Sept 13, 2010: Suicide Reveals Signs of a Disease Seen in N.F.L. A brain autopsy of a University of Pennsylvania football player who killed himself in April has revealed the same trauma-induced disease found in more than 20 deceased National Football League players, raising questions of how young football players may be at risk for the disease. See the full article: Suicide Reveals Signs of a Disease Seen in N.F.L. Its about time! See the article for information on the new website. Feb 2011: New Yorker Magazine article The Sporting Scene: Does Football Have a Future? All about The N.F.L. and the concussion crisis.